The legal challenge in the Land & Environment Court (LEC) against the approval of the Wallarah 2 Coal mine, situated in the major water catchment of the Central Coast, commences on Monday, November 12. “The challenge in the Land & Environment Court is an historic moment for the Central Coast”. “The community have been fighting for twenty-three years to protect the Central Coast’s major water supply district. “The legal challenge is the culmination of the community’s strength not to give in but to fi ght to win. 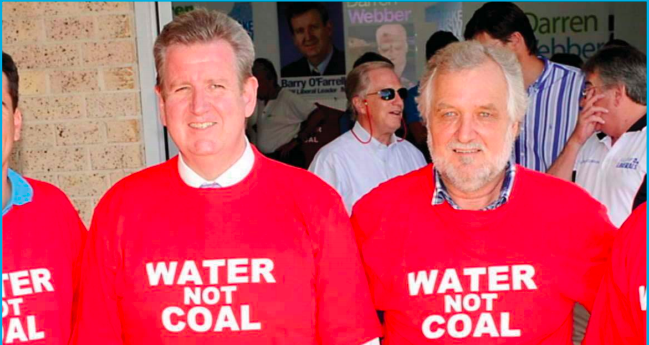 “We don’t have the luxury of another water supply or water catchment.” Shadow Minister for the Central Coast, David Harris, said that stopping the Wallarah 2 Coal mine is essential to ensure the quality of our water catchment on the Coast. “This court case is another stage in this long running battle,” said David Harris. “The Liberals could end this madness tomorrow, but if they won’t then I hope the courts will. “Wallarah 2 would be a disaster for our beautiful region, we have to stop it and I hope the Australian Coal Alliance is successful.” Korea Resource Corporation is the major shareholder of Wyong Coal Pty Ltd, the proponents of the proposed Wallarah 2 coal mine.